Summer has been off to a great start this year! I think I’ve alluded to how much I love spring in BC and this year summer has been just as much of a treat for me. Temperatures have been in the high 20’s since the end of May and it always amazes me to realize that I’ll actually get to enjoy three full months of summer! Our warm and dry winter led us into an even warmer and dryer summer. The grass that was beautiful and green all winter has turned golden brown in the summer heat. I can only recall two days when it has rained since the beginning of June. I love the sun, but the heat has definitely required a little bit of an adjustment from what I’m used to. At any given time it’ll be between 27 and 30 degrees in our house and I’ve taken to leaving all the windows open and sleeping without blankets and the fan pointed right at my face. Unfortunately, the dry heat and lack of rain hasn’t been great for the wildfires across the province and the air quality has been pretty bad in recent weeks. But I won’t complain because I absolutely love the sunny weather! I’ve been planning my summer activities with abandon, not worrying about how the forecast might turn out. We’ve already crammed in a ton of summer activities and knocked a few more items off my bucket list. The fun started right after my return from Brazil with a visit from my wonderful parents! They came to stay with us for the May long weekend and we took advantage of the holiday to travel down to Washington State for the weekend. 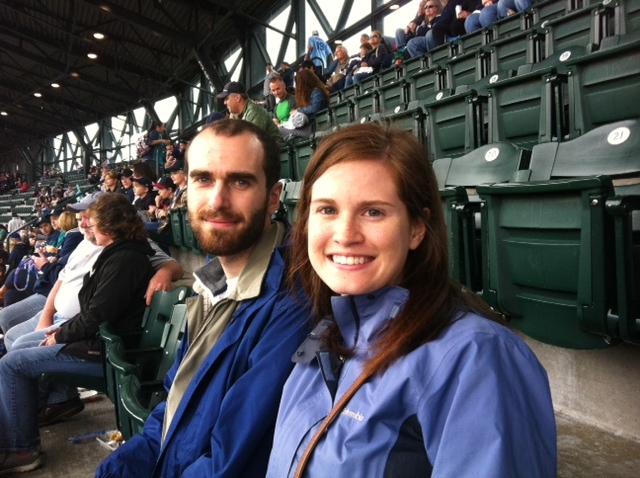 It was Mom and Dad’s first trip to Seattle and we did a little exploring around famous Pike Place Market and then cheered on the Boston Red Sox at a baseball game at Safeco Field (I think it was my first time not cheering for the home team). We didn’t spend too long in Seattle though and opted instead to spend the weekend exploring enormous Olympic National Park. The Park is located south of Seattle along the west coast, just below Vancouver Island. It was quite a bit larger than we thought, so we spent two days driving around the park trying to fit in as many of its diverse attractions as we could. 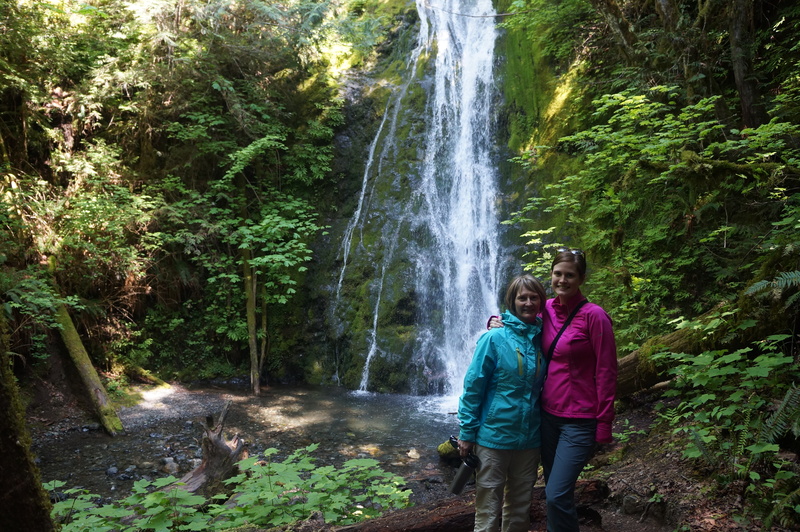 We had a picnic lunch at a waterfall in Elwha, hiked through the forest near Crescent Lake, went tidepooling at Rialto Beach, and took in the amazing views along Hurricane Ridge. It’s a beautiful park and I wish we’d had a bit more time to spend there. We tried to fit in a few small hikes so we could see a bit of everything, but we did have to spend large portions of our time driving. 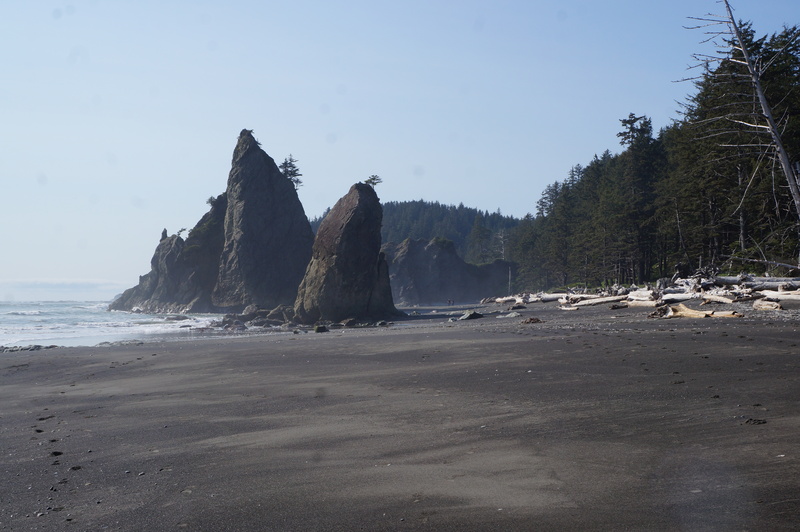 Olympic National Park is also home to another setting you might be familiar with, Twilight. The area serves as the setting for Stephanie Meyers popular franchise and we passed through many of the towns from her book. Rialto Beach is located just across the river from La Push and we had a good laugh when we drove through Forks on our way there. 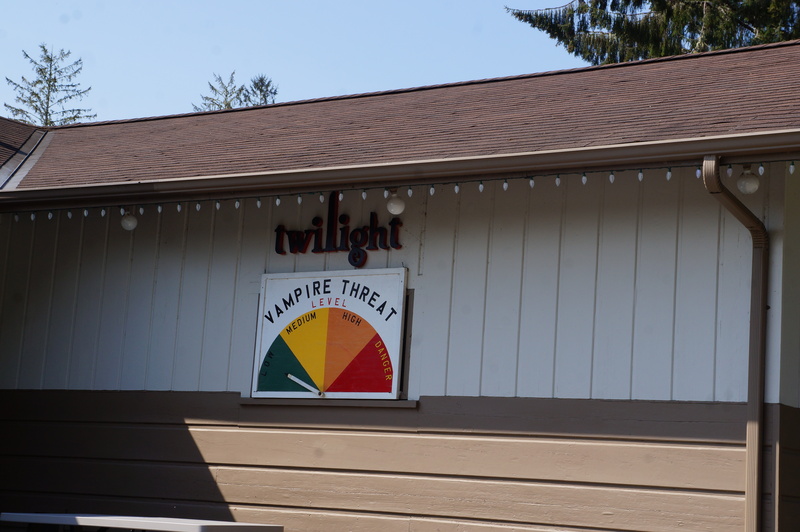 They’ve definitely capitilized on ‘Twilight Fever’ and we saw a lot of references to the books around the town. 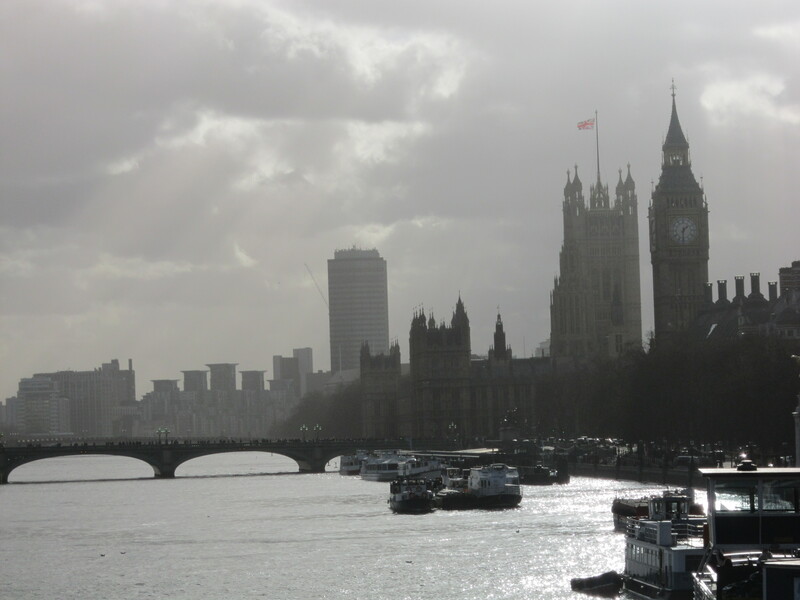 The sun came out for us though, so we didn’t see any vampires around! Towards the end of May, Seth and I bought bikes as a new way to explore the city. 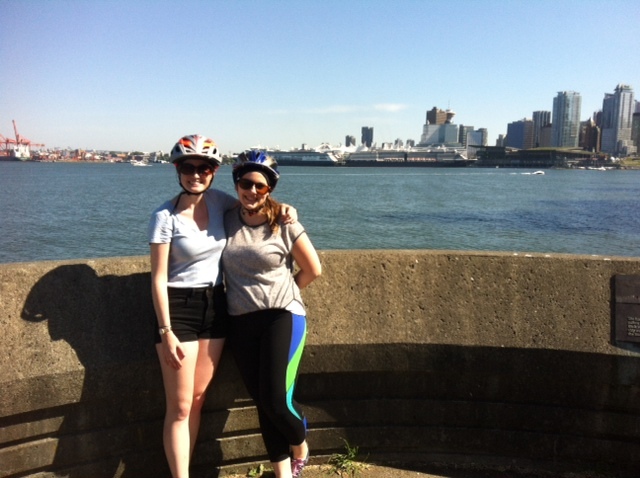 Steph joined us for a bike ride around the Stanley Park seawall at the end of May, but otherwise we’ve mostly been biking around New West. We discovered one of the outdoor public pools within biking distance is free, so that’s been a great way to cool down on hot days. New West is very hilly though, so I really need to work on my leg muscles for biking! In June we kicked off our camping and hiking season. 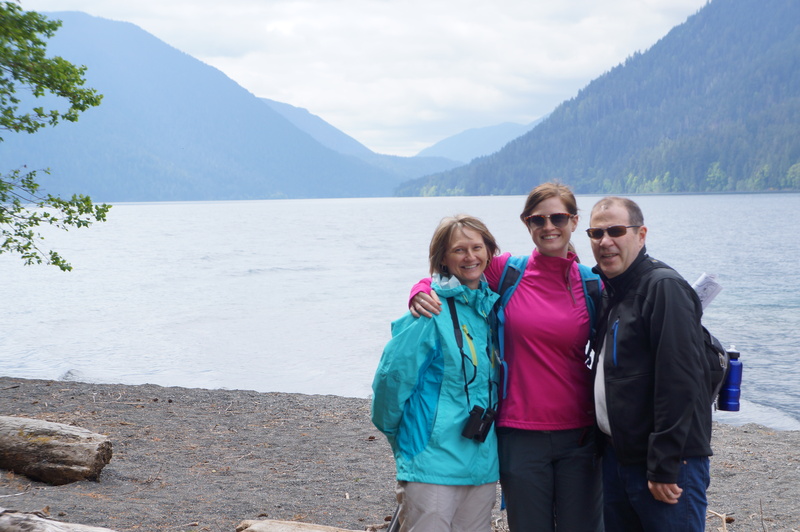 Our first camping trip was out to Chilliwack Lake Provincial Park. Karen and Grant joined us and we had a fun drive out, stopping for a pretty memorable meal at one of the local bars called Tractorgrease. We spent the weekend BBQing, lounging by the lake, working on our frisbee skills, and making s’mores over a campfire. 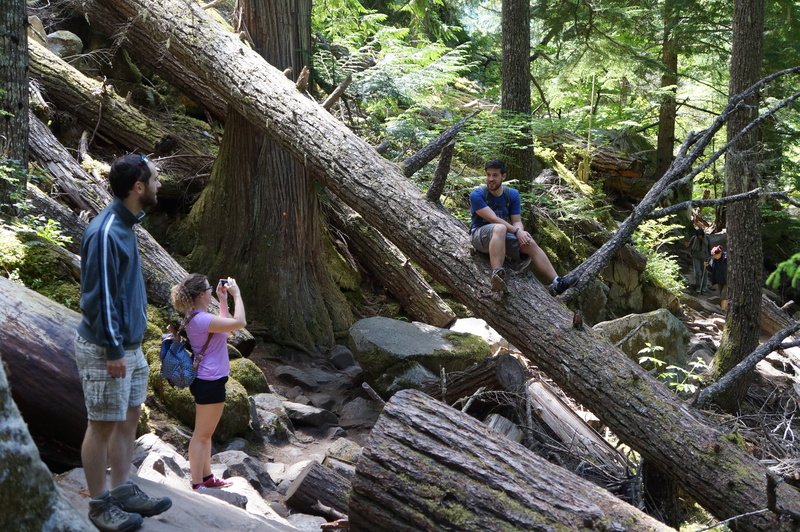 We ended the trip with a short hike up to Lindeman Lake, one of Chilliwack’s many mountain lakes. 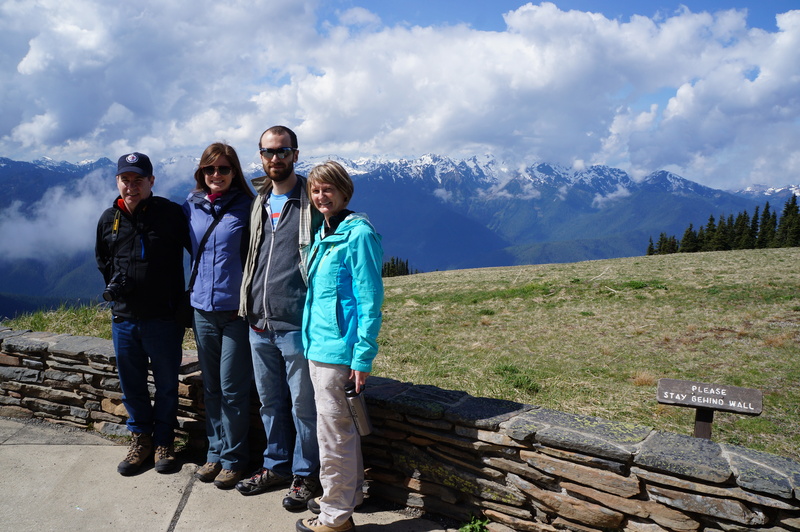 We also made a trip out to Golden Ears Provincial Park in early June with some of my colleagues and went on a nice hike out to Viewpoint Beach, nestled in the mountains along one of the freezing, snow-melt rivers. 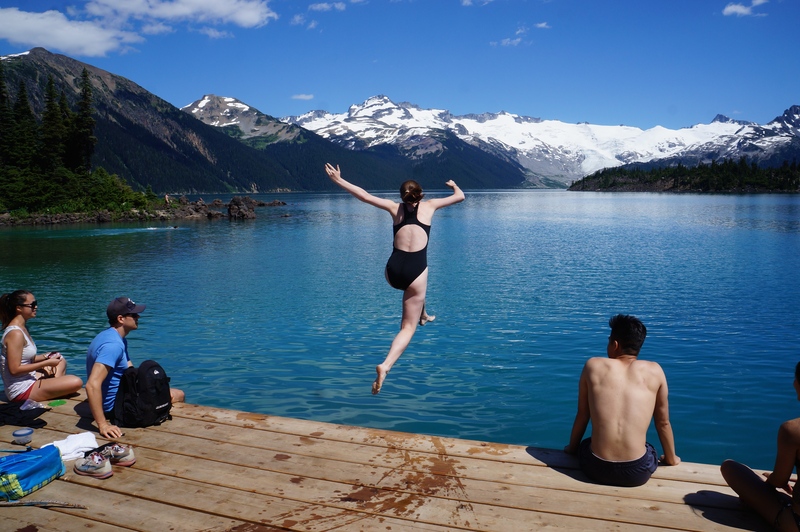 The river would numb your toes, but we went for a swim in gorgeous Alouette Lake at the end of the hike, one of my favourite places from last summer. 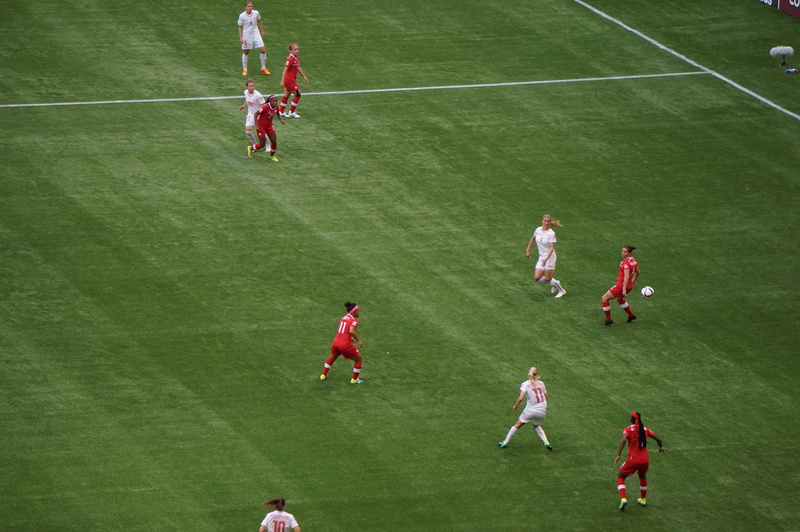 One of the biggests excitements of the month was the FIFA Women’s World Cup, which I’m sure you know was hosted in Canada this year! I bought a set of tickets to several games in June of last year and I couldn’t wait to finally see the women play. We had tickets to two games from the group round (Cameroon vs. Ecuador and Japan vs. Switzerland), two games in the round of 16 (Canada vs. Switzerland and Japan vs. Netherlands), and the quarterfinals (Canada vs. England). 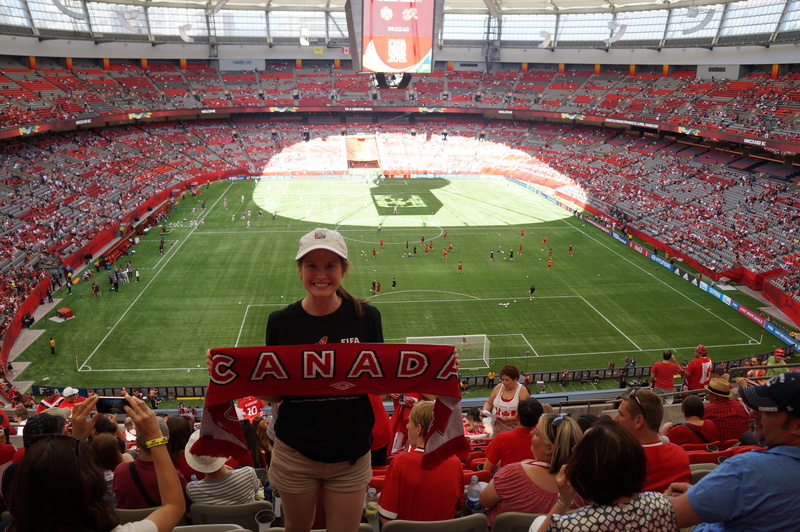 It was so incredible to cheer on Canada twice at sold out games with more than 50,000 people in attendance! We finished off the tournament with tickets to the final; it was a bit of a disappointing game since we decided to cheer for Japan, but still an incredible event to witness! Most of all, I was happy to support women’s sports and I hope that Canada came to appreciate their awesome female atheletes a little bit more. 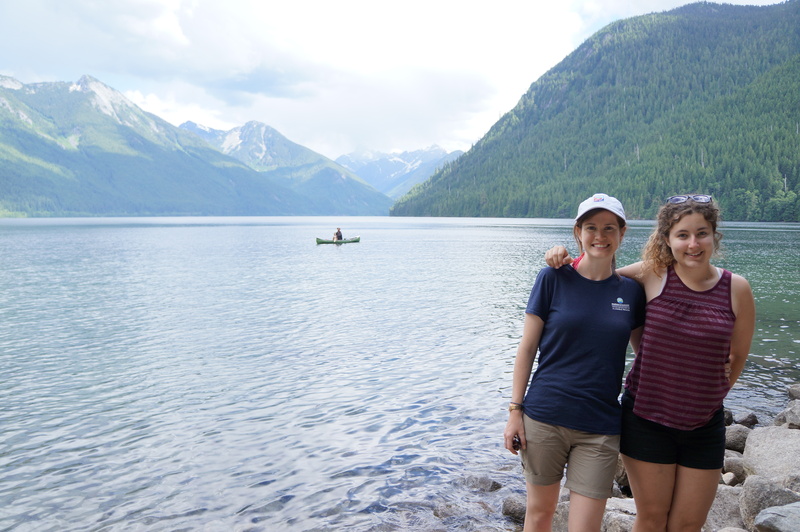 Some other highlights from June included going on a tour of UBC and Wreck Beach with Amy, seeing Ed Sheeran in concert, and celebrating my 25th birthday. I didn’t manage to get tickets to see Ed Sheeran in the first sale, so I had to pay a lot more to get tickets from a third-party, but it was so worth it! Ed is such a fantastic performer – it’s just him, his guitar, and a loop station on stage. Steph and I had such a blast watching him, we decided if he ever comes back we’ll be shelling out for floor seats! I also had a great birthday. I’m pretty sure we gathered up all the Newfoundlanders we could find in the city and had a nice BBQ at the house; although sadly, I forgot to take any pictures. 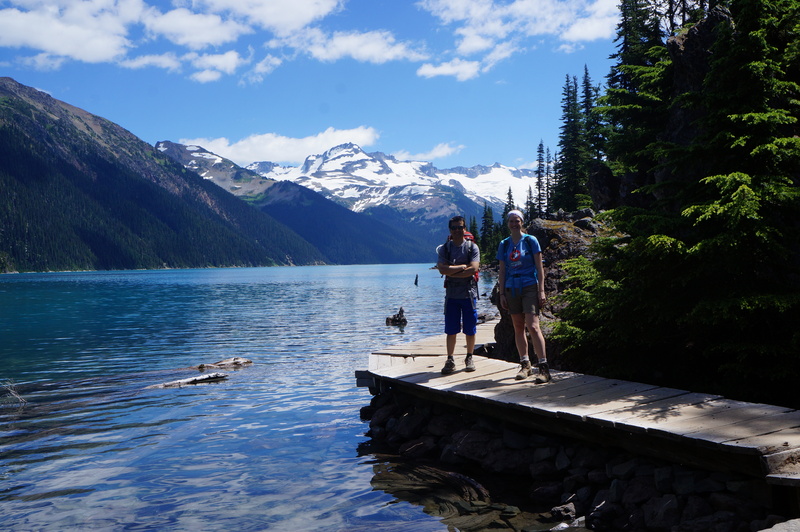 Our most recent exploit was a Canada Day hike in Garibaldi National Park. I’d heard a lot of good things about Garibaldi from people at work, so we wanted to check it out. We did the 18km hike with one of my colleagues and it was just as impressive as everyone raved it was! 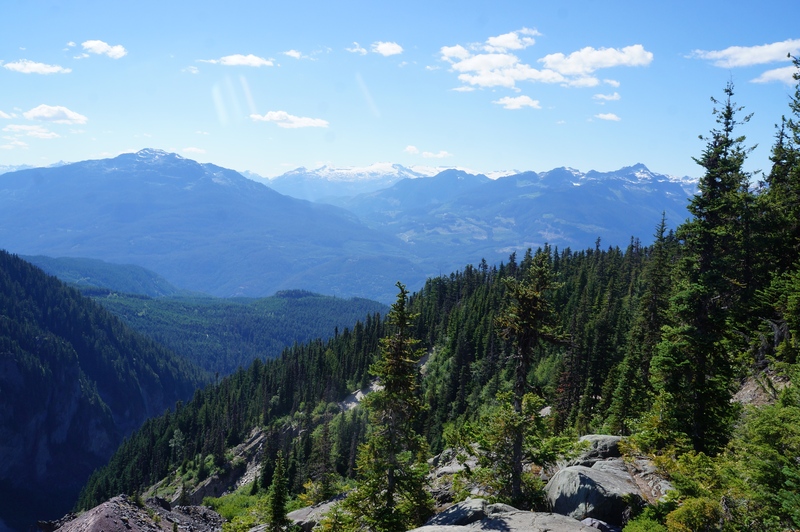 The hike itself is a bit of a slog – you start with about 6km of steady uphill through the trees before you really get to any scenery. 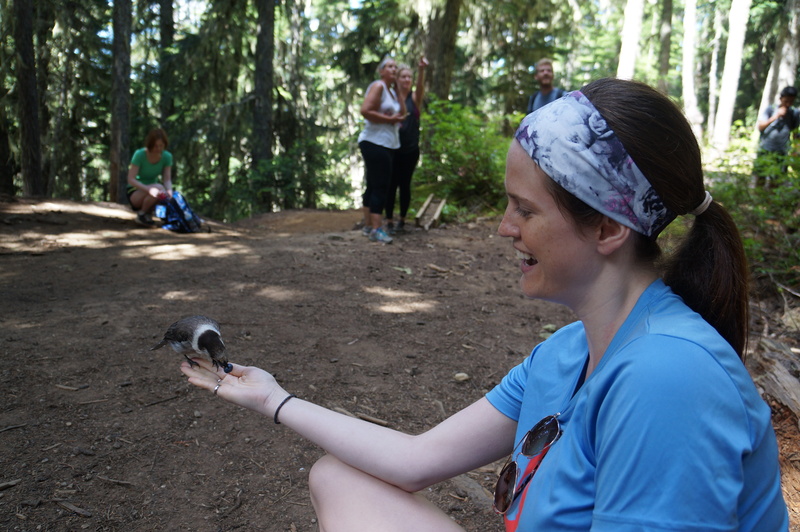 We stopped for a snack at the 6km mark and encountered one of our favourite birds, Gray Jays (or as they’re known in BC, Whiskey Jacks), which don’t need much enticing to eat straight out of your hand! The scenery improves a little after that and we hiked through some peaceful meadows before finally reaching gorgeous Garibaldi Lake. It’s a glacial lake and has some of the clearest, blue-green water I’ve ever seen. 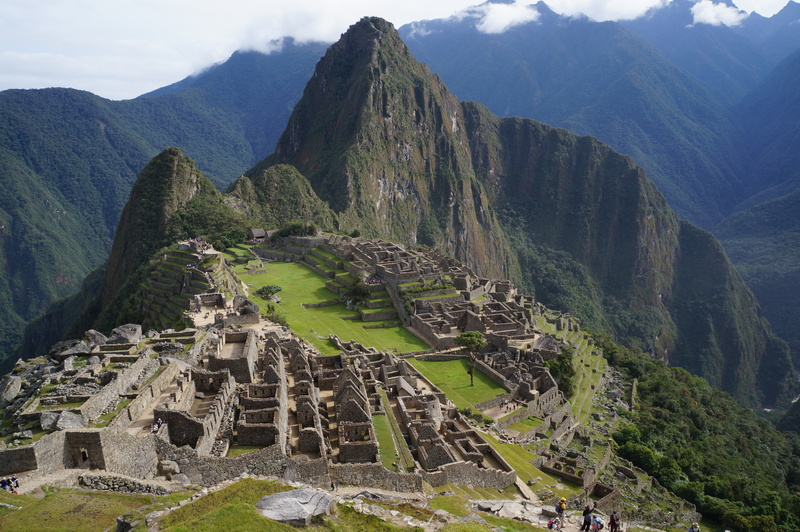 It’s surrounded by snow capped mountains with the Sphinx and Sentinel Glaciers on the far side of the lake. My colleague was doing a dry run with his big pack for a weeklong hike he’s doing in August, so he had his bag filled with every sort of sandwich fixin’ imaginable and we had a delicious meal on the shore of the lake. After lunch, we all went for a swim in the freezing, crystal clear water to cool down before the hike back. We ended the day with the New West fireworks show, which truly made for a perfect day! That’s my summer thus far in a nutshell. I’m looking forward to lots more camping in July and I’ll be home for a full two weeks in early August. Sending lots of love and sun back to Newfoundland!